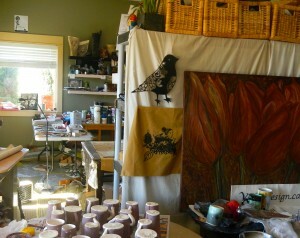 My studio space is a nest of ideas and a little oasis. 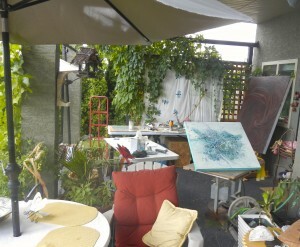 In Summer, it expands outside as I like using part of the patio and the garden to work on my paintings, my fibre art and my clay projects. The light is perfect particularly when working in the morning. 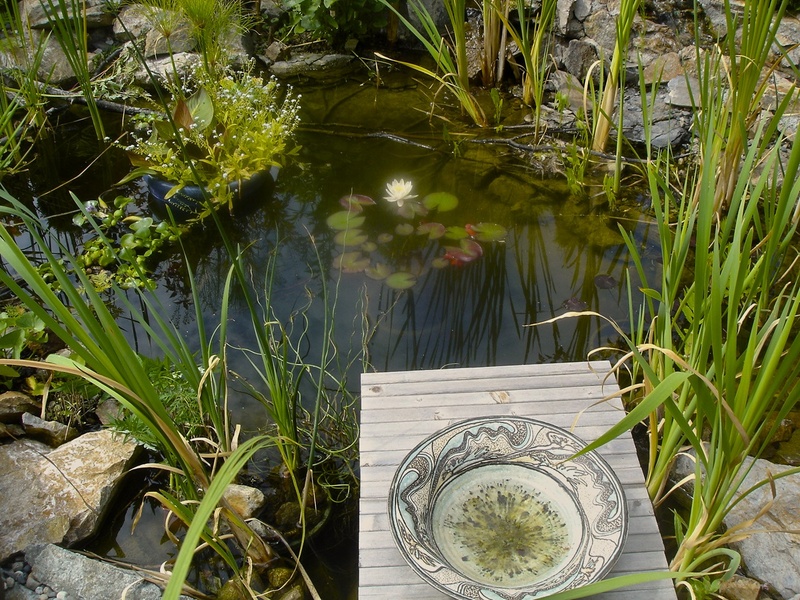 Using the space outside allows me also to work more with clay as you don’t have to think so much about cleaning the dry pieces accumulating on the ground. I just use the water hoose and spray the floor. 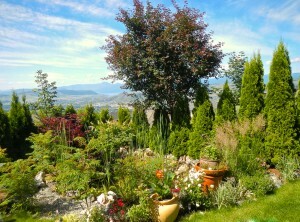 I also have a nice area where we can sit, relax and enjoy the views of the 2 lakes and the mountains. This inspires me alot and I always take a moment to do some photography and sketches for new designs. Sometimes, the clouds in the horizon are covering the whole city of Vernon and the view from my studio is pretty amazing. We call it a temperature inversion which is an atmospheric condition in which a cooler layer of air lies below a warmer layer of air. We never get tired of this as it is incredibly beautiful and spiritual! After a long Winter which is just a few months here in the Okanagan, I like preparing my outdoor studio space with everything that will be needed to create again. My easel finds its place in a corner and a few tables are spread in the shade with paint, brushes, containers of clay and everything else that could feed my soul. 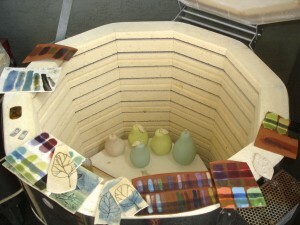 Recycling is essential and is something that you do with clay once in a while during the year. This is part of our water pond where we can find cattails, water lilies of all colours, chocolat mint herb and different variety of herbs and plants. Birds are beautiful here! 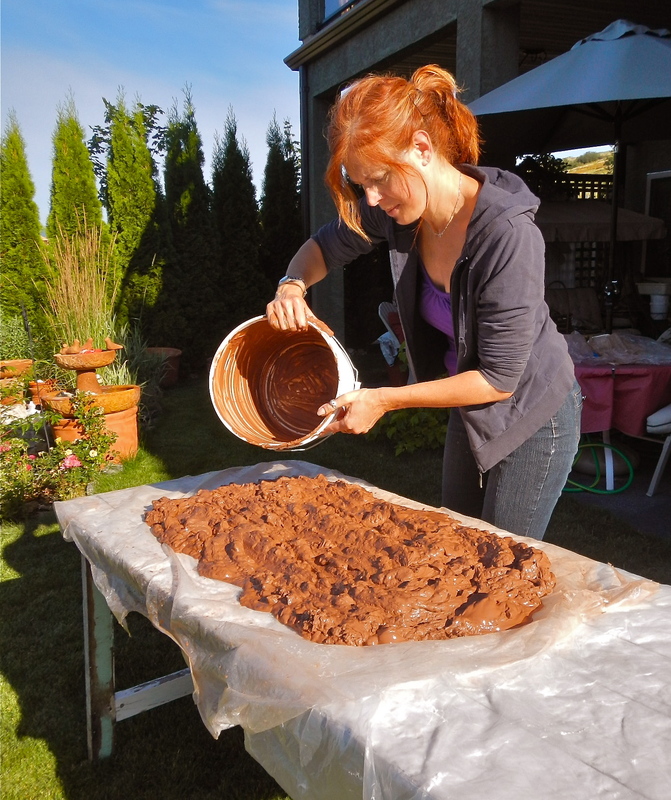 One morning I decided to spread some wet clay on a table; clay that had been soaked in water for weeks. You never waste clay and part of recycling is to let is dry slowly on a surface until it becomes perfect for your needs. Well, that morning I forgot it in the sun as I was not aware that the temperature was going to change so fast. The clay became hard and dry and I had to start the process over. Patience is a virtue! It was a big job but luckily towards the end of the day my clay was ready and almost perfect. Once the clay is ready, all you have to do is to put it in bags and seal properly. 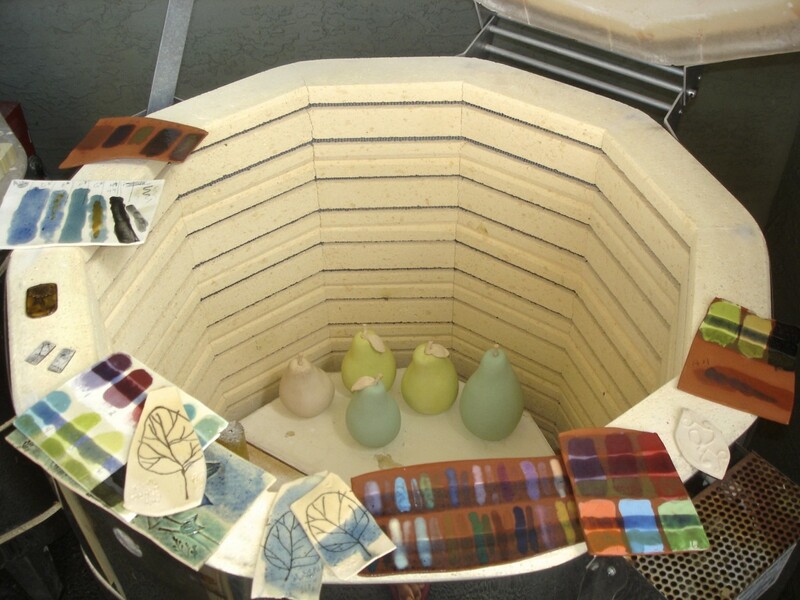 Here you can see some clay tests with glazes and oxides and a few clay pears just coming out from a firing. 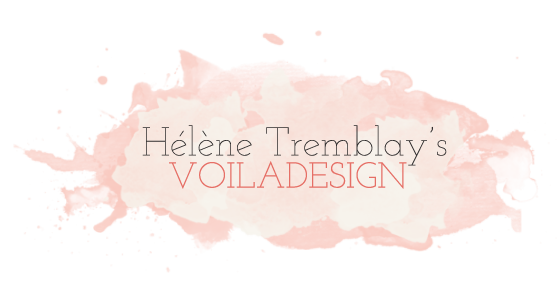 Later this year, you will discover a few of my new clay pieces created with red clay and fired in my kiln that is also part of my outdoor studio. This little Oasis is really a place of emotions, explorations and discoveries and I love sharing them with family and friends.